wanted to show you some really beautiful pieces that you can add to your bookcase or etagere to make it look more interesting than just your piles of stacked books. 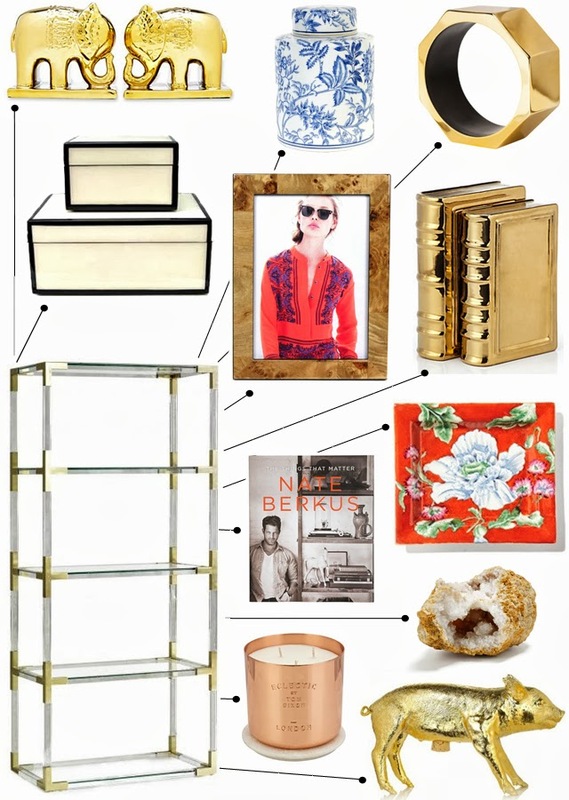 mixed metals, textures and a golden pig bank will certainly liven up the space. i loooove these. That candle is especially chic. I must own these elephants! I LOVE that bookshelf! Love, love. Also the white and black boxes-I've been looking for something like that. Gorgeous.